The international agreement envisages replacement of cumbersome and costly formalities of a full legalisation process with the issuance of an Apostille (also called Apostille Certificate). Apostilles can be issued by a competent authority designated by the state on whose territory the public document has been executed. 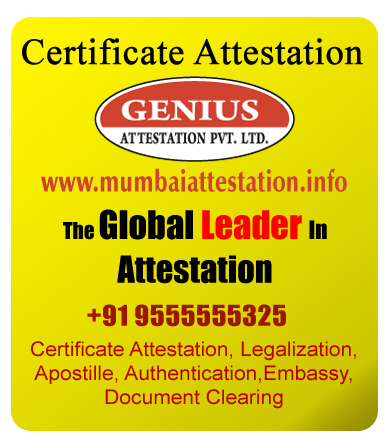 Apostille stickers are issued on certificates including birth and death, affidavits, powers of attorney, marriage certificates and educational documents like degrees, diplomas, matriculation and secondary level certificates. However, commercial documents are excluded from the purview of the Apostille Convention. As per the procedure, all documents should be first authenticated by the designated agencies in the state from where the document has been issued. In case of personal documents, the home or general administration department of the state concerned is the designated authority. 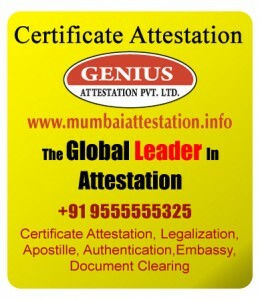 In case of educational documents , state governments have opened Regional Authentication Centres for initial attestation. Documents attested by these authorities then need to be presented to ministry for issue of Apostilles . Meanwhile, the MEA branch Secretariat in Chennai has completed a year since it was inaugurated. Attestation of educational documents, complaints regarding deserted wives and unpaid salaries in Gulf countries and repatriation of bodies of those who died abroad were handled by the branch secretariat.